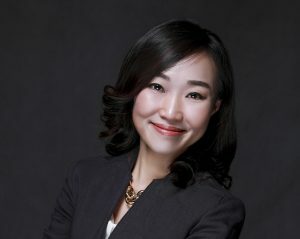 The Gerontological Society of America has recognized University of Alabama psychology professor Dr. Giyeon Kim for her research on mental health disparities between people of different races and ethnicities. The GSA, the nation’s largest interdisciplinary organization devoted to the field of aging, recently honored Kim with the Margret M. and Paul B. Baltes Foundation Award in Behavioral and Social Gerontology. The honor, given annually, recognizes outstanding early career contributions in behavioral and social gerontology. Kim is an associate professor within the Alabama Research Institute on Aging and department of psychology. Her research focuses primarily on racial and ethnic disparities in mental health and mental health service use among older adults, understudied areas of research that are “critical to establishing equity in aging,” Kim said. She has published extensively on racial and ethnic disparities in mental health care focusing on factors contributing to group differences – geographic factors, limited English proficiency and perceived discrimination – and measurement equivalence issues on screening tools. Kim also is a GSA fellow, which is the highest level of membership within the Society. In 2008, she received the Outstanding Student Research Award from GSA’s Behavioral and Social Sciences Section for her doctoral dissertation. “Dr. Kim is the exemplar of early career talent that the Baltes Award seeks to honor. Her scholarship, her service, and her strong collegial ties to the field speak clearly to her merits for this award,” said Dr. Patricia Parmelee, professor and director of the Alabama Research Institute on Aging at UA, who nominated Kim for the award. The award presentation, along with Kim’s award lecture, will take place at GSA’s annual scientific meeting in November in Boston, Massachusetts.